A photofacial, is a procedure in which intense pulses of light are used to penetrate deep into the skin. 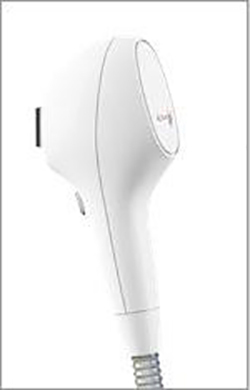 The blue light kills acne-causing bacteria, while the red light reduces acne-related inflammation for faster healing. IPL photorejuvenation then causes collagen and blood vessels below the epidermis to constrict, reducing redness and age lines. Fine lines and wrinkles to improve overall skin tone. What to expect when having the procedure? The procedure involves only minimal discomfort, while the redness and swelling that sometimes occur after treatment disappear shortly. 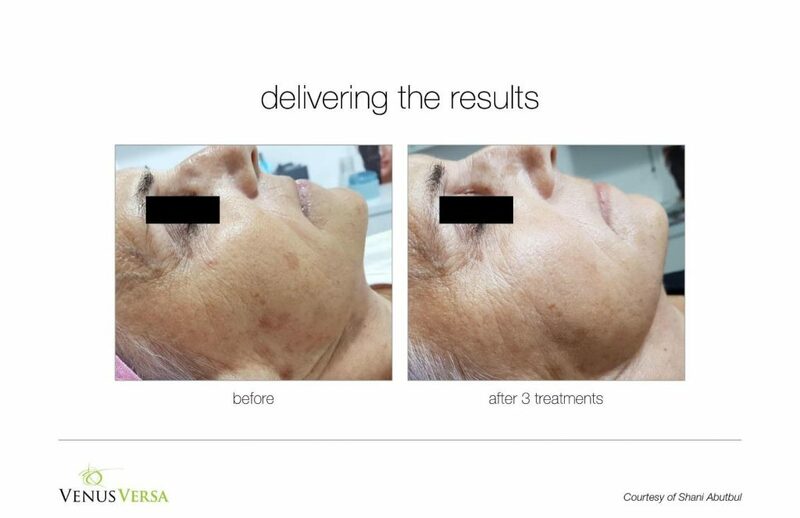 Most benefits of a photofacial occur gradually in the weeks following treatment. When performed on the right person, it effectively improves skin texture, eliminating discolorations, reducing pore size, and minimizing wrinkles and fine lines. 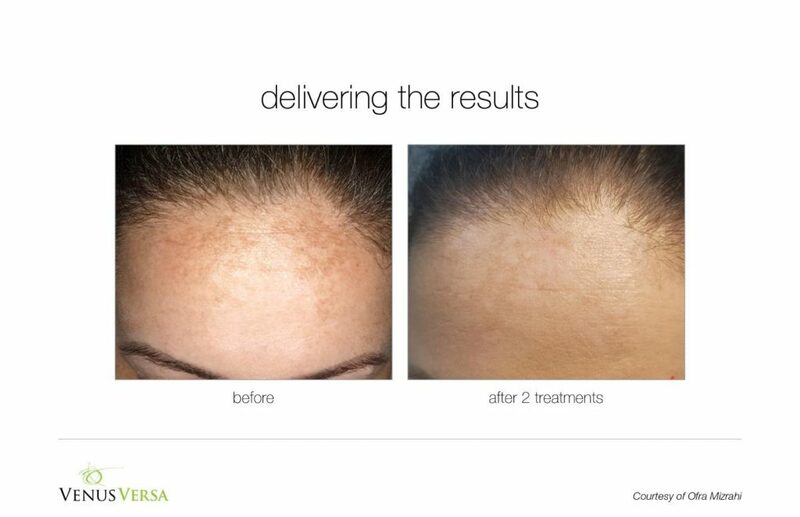 What are the BENEFITS OF IPL TREATMENT WITH VENUS VERSA™? IPL treatments utilize safe infrared light (as opposed to UV light) to improve and enhance the color, tone, texture, and condition of your skin by stimulating the production of collagen and elastin deep within the tissues of the skin. 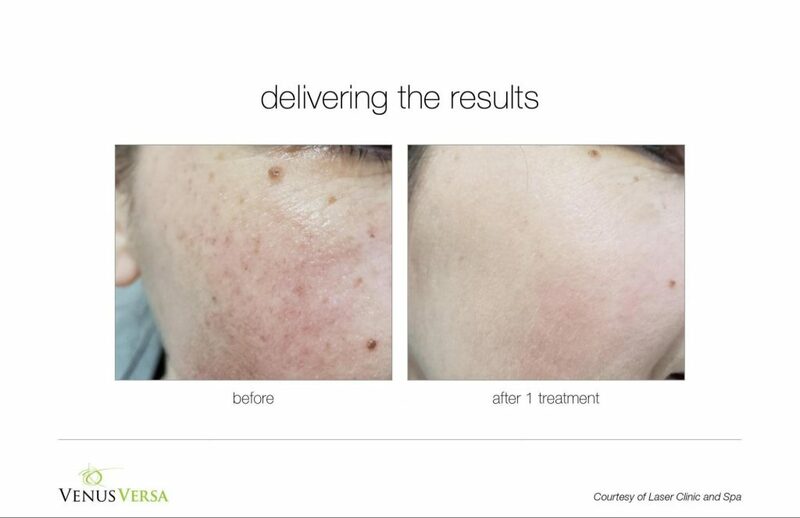 Five full-face IPL photofacial sessions spaced three weeks apart are normally required for optimal results. However, the number of treatments needed varies from patient to patient, somewhere between 3-10 treatments is required depending on if your goals are cosmetic, therapeutic or both. Dr. Chahin will personalize a treatment plan based on your skin defects and the level of improvement you desire. An active tan from the sun or tanning beds is not appropriate for treating with IPL. Tanned skin has an increased level of pigment or melanin, which may also absorb the IPL light energy. It is recommended that a person not have sun exposure or have used a tanning bed in the area to be treated for a period of 3-4 weeks prior to treatment. Self-tanners must be faded from the skin for at least 14 days prior to treatment. Ethnic skin is NOT a candidate for Photofacial treatments or other IPL therapies generally speaking. Be wary of any place that will perform IPL on dark ethnic skin, because you are always at risk for permanent scarring and increased hyperpigmentation, even if you have had successful treatments in the past.